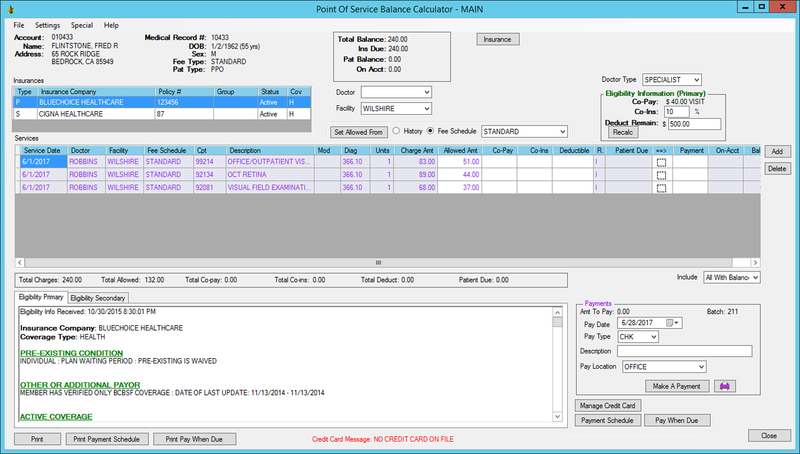 DavLong’s new Point of Service Patient Estimation program calculates the patient balance due at the time of service, increasing your collections and decreasing practice overall time in A/R. Patient Estimation looks at multiple factors when calculating patient due including, practice insurance fee schedules, past payor payment history, along with copay and deductible information from the insurance eligibility check. The patient balance is estimated and can be viewed during the check out process. In fact, most clients use this program to replace the MedInformatix check out screen completely. All the functionality of the MedInformatix check out screen, including payment posting, are incorporated in this product.